Today, Owen Turner struggles to pick up a Cheerio or throw a football with his right hand. But other than that it would be hard to notice a difference in him and any other 5-year-old boy after becoming the first child at Cook Children's to undergo a trailblazing endoscopic epilepsy surgery. Owen’s story begins at 8 months of age when his parents notice weakness on his right side. His parents know something isn't right with their son and they make an appointment for Monday with their pediatrician. But over the weekend they become afraid when they see Owen has stopped using the right side of his body. His parents rush Owen to the nearest emergency room in Cleburne, Texas. From there, he's airlifted to Cook Children’s by CareFlight. His initial scans show a large stroke in the left side of his brain which is soon discovered to be related to a new diagnosis of acute myeloid leukemia. He endures four phases of chemotherapy and fortunately enters remission where he remains today. While his stroke left him with right-sided weakness requiring ongoing aggressive therapy, it's his seizures that prove to be the most debilitating obstacle to overcome. Owen’s first seizures occur in the days following the stroke, but they are controlled with medication. He’s even able to stop taking medication shortly after his initial diagnosis, but the seizures returned around age 3. His parents describe his seizures as periods of suddenly pausing in activity with a decreased response to them and sometimes unprovoked laughter. Other events are described as a sudden fall to the ground or stiffening and shaking of his arms and legs posing a significant risk of injury. Despite trials of at least six different medications – nothing helps his daily seizures. His neurologist at Cook Children’s, Howard Kelfer, M.D., refers Owen to the Cook Children's Justin Comprehensive Epilepsy Program for epilepsy surgery evaluation. Once Cynthia Keator, M.D., took over his case, she begins a workup to determine where in the brain his seizures were arising, understanding the likelihood of seizure control with medications is minimal. Owen’s evaluation in the EMU (epilepsy monitoring unit) captures many seizures starting from the left hemisphere. Additional evaluation with a MEG (magnetoencephalogram) scan shows multiple areas of abnormal electrical activity throughout the left hemisphere both in front and behind the region of his prior stroke. Given that his seizures arise from such a large area of Owen's brain, the epilepsy team feels his best chance of seizure freedom is to disconnect the left side of his brain from the right by cutting the fibers (corpus callosum) that connects the two sides of the brain. One traditional approach to this type of surgery is corpus callosotomy, which often involves a large incision on the patient’s skin, opening a large hole in the skull, and then cutting the corpus callosum in half. While considered by many to be the “gold standard” with good seizure control rates, after-surgery care involves a lengthy recovery in the hospital and then at home. While Owen’s family wants better seizure control, they’re reasonably hesitant to undertake such an invasive surgery. Fortunately, Cook Children’s neurosurgeon, Daniel Hansen, M.D., is one of only a few pediatric neurosurgeons in the United States who has experience doing similar procedures, using less invasive endoscopic techniques. Endoscopes (small video cameras with channels for operating tools) allow the surgeon to perform surgery through much smaller openings in the skull. When successful, this means a smaller incision, less surgical blood loss, quicker operating time, shorter hospital recovery, and the same chance of seizure freedom post-operatively as if undergoing a more traditional open surgery. Owen is now 9 months out of surgery and the family has noticed no seizures since. He’s an active young boy who is making steady strides in kindergarten now that his uncontrolled seizures have stopped. While it remains too early to speak to years of seizure control, doctors say this is an encouraging start. Given the successful outcome with Owen, Cook Children’s has since performed two additional procedures with similar favorable results. The Epilepsy team hopes to expand the number of children who are candidates for this type of surgery in the future. Such children will have medically refractory epilepsy and will have undergone a thorough evaluation by the team at Cook Children’s. Potential surgeries that can be performed endoscopically include complex surgeries including corpus callosotomy, single lobe disconnections, focal lesion resection, and functional hemispherectomy. As the team’s experience grows with this technology and technique, its use may expand beyond this short list. And in the process changing more lives for the better. 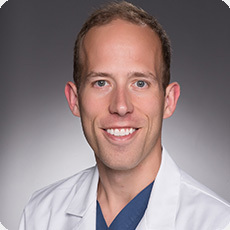 Get to know Daniel Hansen, M.D. Dr. Hansen is a neurosurgeon at Cook Children's. Brain surgeries are often microscopic, such as revascularization, where doctors take vessels from the external circulatory system of the head and internalize them to make new pathways for blood to flow. Our state-of-the-art surgical facilities, extremely skilled neurosurgeons, and highly advanced diagnostics all come together to provide your child with world-class care during even the most intricate and delicate surgeries. The neurosurgeons at Cook Children's are extraordinary, both for their amazingly skilled hands and for their immense commitment to each and every patient that they treat. When a child with a neurological disorder requires surgery, the experts at Cook Children's Medical Center offer comprehensive care and state-of-the-art technology. With the help of such state-of-the-art equipment as the revolutionary intraoperative MRI (iMRI), our neurosurgeons are able to determine the effectiveness of surgical procedures for cranial and spinal nerve disorders and tailor the treatment to each child's unique needs. Find out more about the conditions treated and how this team is leading the way in advanced treatment by clicking here. The Arcuate, from the Jane and John Justin Neurosciences Center, provides information on new programs, innovations and our continued efforts to bring the best neurosciences care to the patients of Cook Children's, the state of Texas, and beyond. Click to read more. Latin for "curved bundle," the arcuate fasciculus is essential to communication, as it connects Wernicke's area (receptive speech) to Broca's area (expressive speech) in the brain. Without it, we could never effectively convey our ideas, accomplishments and plans for the future.